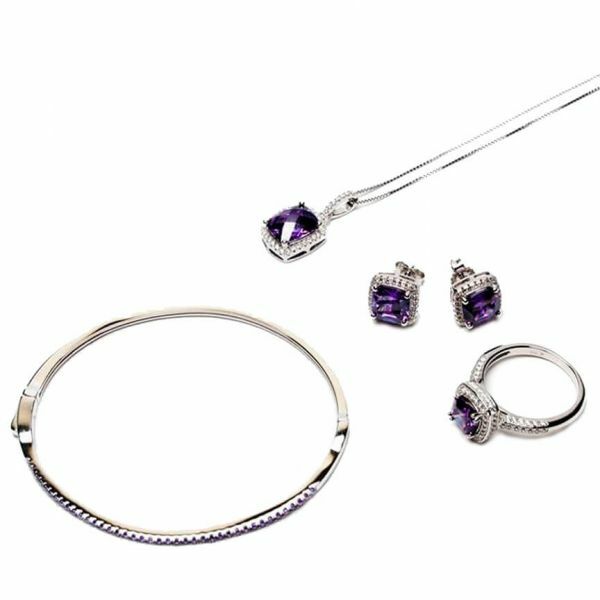 The perfect replacement for your wedding ring while travelling or on vacation. 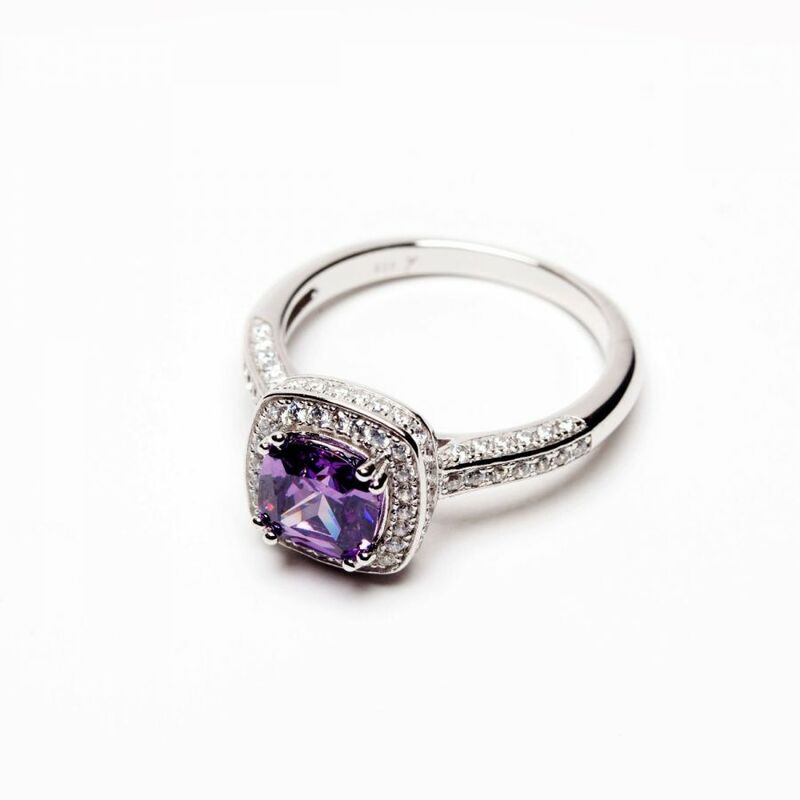 The Married Purple Ring features a purple cushion cut micro pave cubic zirconia center stone encircled by layers of smaller stones. The sterling silver band showcases additional accent stones along its shank.